Thanks to the international cooperation with foreign countries the Czech Universities provides plenty of scholarships for foreigners who intended to study in the Czech Republic. These scholarships are either for exchange students (exchange from 2 to 10 months) or for those who came to the Czech Republic with the purpose to obtain a degree. International students can apply for undergraduate studies and also for postgraduate studies. Undergraduate degrees begin in September or October and are usually three years in duration. Following Postgraduates degrees are two years in duration. After a Master degree students can continue as PhD students and become a specialist in some branches. 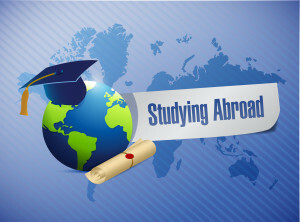 According to a statistic from 2014 the Czech Republic was on the 12th place in the most favorite studying places for exchange studies for foreigners. Why do so many students choose the Czech Republic? Let us explain several reasons, which students mentioned. The Czech Republic has a unique atmosphere and very interesting cultural life. One of the main conditions to apply for the university is to have a finished secondary education. A proof of secondary education (a certificate or documents proving that you have passed through leaving examinations) has to be compared due to possible differences between educational systems. If you intend to study at university in the Czech Republic and you have already studied in your homeland, then the process of comparison can be done in university, where you applied. More information about comparison of university diploma can be found here. Note: comparison is a process of the Czech nostrification. How much does it cost the study in the Czech Republic? Study for foreigners in the Czech Republic is fully paid by the government of the Czech Republic if you study in public university and only Czech language. Another condition is there is an age limit of 26 years. In case you are older than 26 years you are required to pay for an education. Can I obtain a scholarship? The scholarship paid by the Czech state can obtain students or in some cases scientific workers. The admission of the scholarship is issued by the Ministry of Education Youth and sport. For this year it is in the amount of 9000,- Czech crowns for students of undergraduate studies and 9500 Czech crowns for postgraduate studies. The main requirement is of course obtaining a Visa for the Czech Republic. In this case it depends on how long you are willing to study in the Czech Republic and from which country you are from. Some countries have bilateral contracts with the Czech Republic and so their citizens do not need to obtain a Visa, or the whole Visa procedure is very simplified. If you still have to undergo this procedure, you will be required to present the confirmation from the Czech university about your application and a proof of accommodation in the Czech Republic. 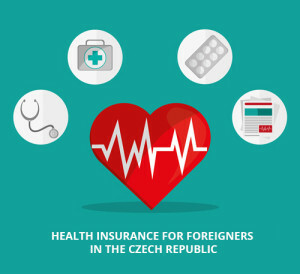 Another important issue of staying on the territory of the Czech Republic is the health insurance for foreigners. Due to the Czech law you have to be insured for your whole stay in the Czech Republic. More information about types and prices of commercial health insurance for foreigners can be found HERE. What are the basic documents I need for applying to the Czech university? For contacting the university and filling the application form, do not be afraid to contact the study department of the university you have chosen. When submitting the application be aware of the different deadlines at each university. The usual submission deadline is from February until April. You choose the Czech university, the field of study and check the requirements for application. Fill in the application form and pay the given admission charge, which is around 500 CZK. The application form can be submitted electronically and the charge therefore paid through bank transfer. 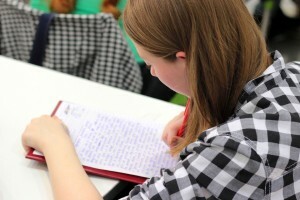 Then you should receive a letter/an email from the university about the admission requirements. Some universities also require entrance examination, which is usually in June. When does academic year start? Each university starts differently, usually the academic year starts at the end of September or beginning of October. The exact schedule of the semester (when starts the exams and another university events) can be usually found on a website at the school, where you apply. Most of the information you will receive also during the official enrollment at the university. For the enrollment you need to receive an official letter of invitation from the university with the exact date and time when you should be there. Along with the enrollment you receive information about the functionality of your electronic study system, the system of subject registration and their completion and general information about the course requirements. Additionally it is very important to come to ceremony, where you administer the official study oath, before your accession to the course. How to get used to the new university? To be prepared for the new university we recommend you to apply to the introductory course, which is organized by the university every year. It is a one week trip to the countryside which offers a big variety of sportive activities. You will have the possibility to meet some lecturers, students from the upper courses, and the most important, to get to know the people from your own course. Another good option how to be informed about the actual events, is following different fan pages and communities on Facebook. For almost every subject there already exists a community, where you can find out where to get the study materials, which lecturer would be the best for you, or you can arrange tutoring with a student who has already passed the subject. These communities are also appropriate for buying and selling course books. The price of the used books is here even lower than at second-hand bookshops. Another interesting issue of student life are different student communities and clubs. With help of university fairs, you can become a member of the Investment Club, the Engineer Club, or you can develop your professional skills at the AIESEC student organization. Such environment will not only give you new experiences, but you can find there are also many interesting people, some of them may be your friends for the rest of your life. If you decide to come to the Czech Republic and have a fear that you don’t manage to learn the difficult Czech language, then Czech universities offer a special option for you. It is a preparatory year before your admission to a Czech university. During this year you will learn Czech language (grammar, conversation) and about the Czech history (Culture, habits). The tuition goes in a small group of foreign students under an experienced lecturer. In the summer semester you can also choose some vocational subjects which prepare you for studying at University. At the end of the summer semester you will take the exams from Czech language and you will receive an official certificate from knowledge of the Czech language. The price for courses is around 50 thousand Czech crowns for a year. The winter semester starts usually on 1.10. and ends on 21.12. The summer semester starts usually on 9.1. and ends on 31.5. If you want to complete the year of preparatory study at university in the Czech Republic, you will have to obtain long-term residence. In the application for long-term residence you will not state a purpose of study but purpose – ANOTHER with specification – preparation for study in the Czech Republic. The majority of Universities require level of language B1 but from my experience I recommend to have a higher level because sometimes it is very hard to concentrate for new subjects especially for example physics and also the language. Every student in the Czech Republic can obtain accommodation at a university dorm. It costs around 3 – 6 thousands Czech crowns. Another possibility is to rent a flat with other students. The price for this is around 16 thousand CZK (The given price is for a flat with kitchen and three rooms – something around 60 square meters). So in case you have two roommates it costs around 5 thousand per person.